As a kid, you may have counted pennies and rolled them in paper sleeves to take them to the bank. These days, it’s so much easier. Magner, which produces coin-counting machines, wanted to take its technology from banks and financial institutions into retail outlets like groceries and small shops. For that, the client needed a new customer-facing identity that would be bold, recognizable and friendly. 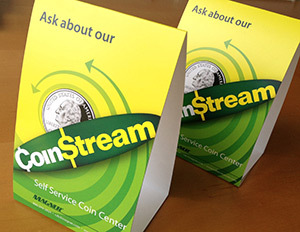 We developed CoinStream’s consumer brand, with an eye-catching design of bright patterns in yellow and green. 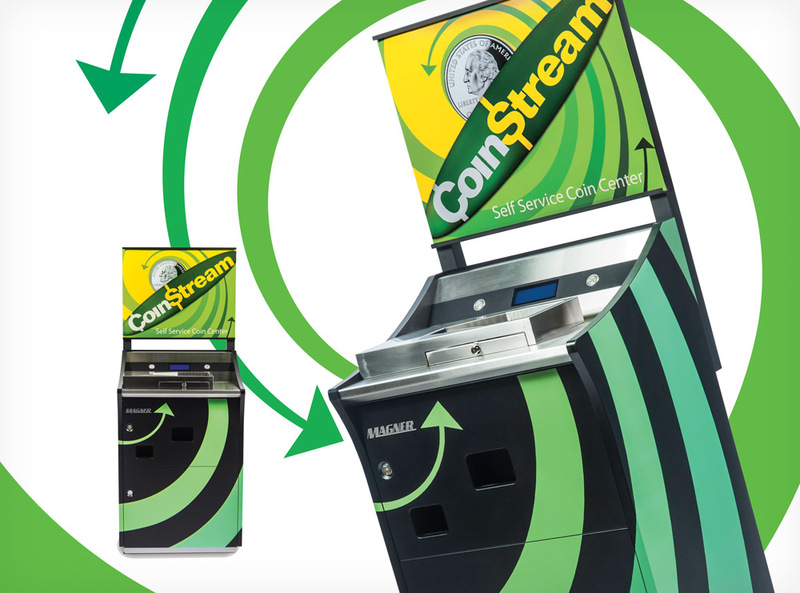 In addition to wrapping CoinStream’s machines in the graphics, we applied the new brand to all the elements in a marketing kit for retail partners.